The accomodation, secured to host the company’s growing UK team, comprises of a single floor containing around 3,000 sq ft of space. An eight-week project, the fit out has been expressly designed to enhance the brand for Enviva, as it expands its physical presence in the UK market, bringing its logo and corporate colours to the fore to complement the overall look. 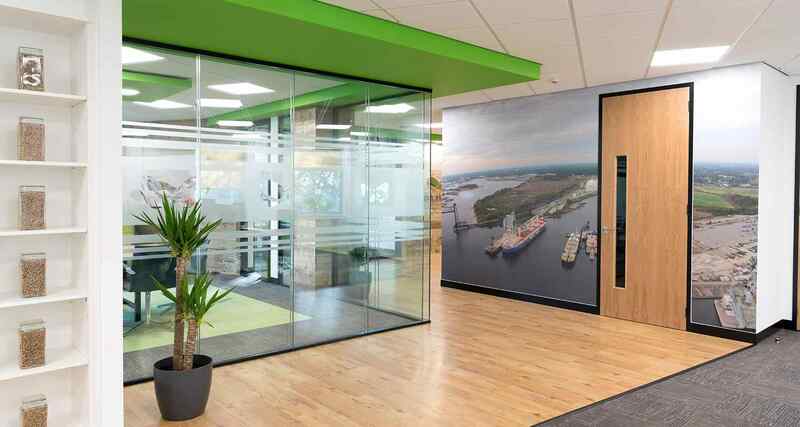 Saracen has won awards for its design work in recent years and, given its raised profile in the North over the last 12 months, it was a clear contender for a project which focused heavily on design. A prominent player in the South East, Saracen now hopes to build on its business in the North, positioning itself as a national concern with local links and knowledge. It recently opened an office at Manchester’s Media City, providing the team with a base from which to operate. The company has a proven track record in improving workplace efficiency, and corporate standing, and is renowned for its tailor-made, cost-effective solutions. With a series of divisions, including Saracen Facilities, Saracen Small Works and Saracen Move Management, Saracen also continues to consolidate its position as a one-stop shop, offering its clients access to a full skillset, with a selection of seamless service options designed to anticipate all manner and scale of requirements.